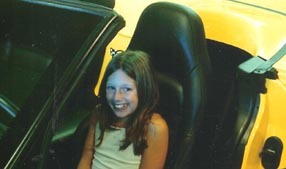 By her big smile it looks like Marissa is possibly thinking about how some day she might be able to talk her grandma into taking this yellow 2004 convertible for a short drive. As member of Windy City Corvettes, Grandma Gillespie has been the Midwest Region #1 points leader several times and placed in NCCC's top 15 as well. Braden is Marissa's (FCOA 3028) little brother ~ at 3 months old, he looks pretty relaxed sitting on top of Grandma Gillespie's 2004 Vette. Here he is a little bit older waiting for his first ride in that convertible! Jesse is shown standing by Grandpa Sanders' 1986 coupe with its custom Champagne Pearl paint. He's often called "Jesse James" since he isn't this still very often! Jesse's grandpa is a member of Palm Springs Corvette Club in the West Coast Region. Justin went to his first autocross in October 2006 and wasn't in a very good mood until his mom put him in Grandpa & Grandma's race car. Once Grandpa cranked the engine, Justin was all smiles the rest of the day. 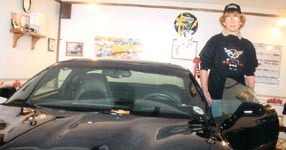 His grandparents are members of Tiretown Corvette Club in the East Ohio Region. 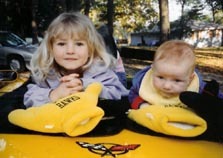 Here are Payton (FCOA 2017) and Jace on Grandma Di and the late Papa Don's 2000 Millenium Yellow convertible ("YLOFEVR"). As you can see, they are already Iowa Hawkeye fans ~ very fitting for the grandkids of Cedar Rapids Corvette Club members. 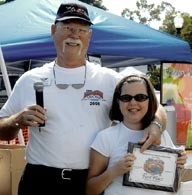 Nichole is pictured here with the first place award she & Grandpa Goff got when they showed his 2000 Vette at his Corvette Club's 2005 Car Show. Nichole's Grandpa Goff is a member of Pomona Valley Corvettes in the West Coast Region. She's growing up surrounded by Vettes since her dad also has one. Here's 6-year old Max giving everyone a huge smile and thumbs-up. With that look in his eye and wearing that Hallett Raceway t-shirt, "The Max" is probably thinking about how much fun it would be if he was behind the wheel of grandpa's 2006 Z06! 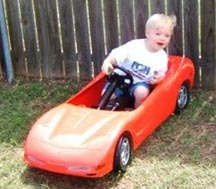 His Grandpa Workman is a member of Nashville Corvette Club in the Southeast Region. By Morgan's smile you can tell that she's enjoying Grandpa Billet's 1982 Vette at Corvettes on the Boardwalk in Ocean City NJ! Her grandpa is a Member-at-Large in the East Region. 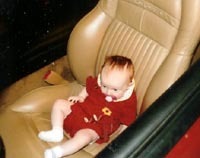 When Penelope is older, she'll have her choice whether to ride in Great-grandpa Wood's 1967 or 2004 convertible. Great-grandpa belongs to Anderson Corvette Club in the Indiana Region. Look at Paige posing by Grandpa Engelsman's 1993 40th Anniversary coupe ~ check out her "Dorothy of the Wizard of Oz Ruby Shoes"! Her grandpa is a member of Midwest Early Corvettes in the West Region. In 2006 Tyler was ready to take a spin in one of Grandpa Bleckinger's Corvette coupes and a year later he's all decked out in his new Corvette hat already to go again. His grandpa is a member of Suburban Corvettes of Minnesota in the Midwest Region and Desert Corvette Assn in the Roadrunner Region. 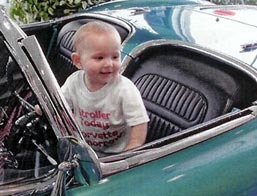 His grandparents keep the 2001 Vette in Arizona and the 2000 in Minnesota; both are Pewter. Ty wants to drive both of them! Christoffer looks like he's warming up for his first back-yard Autocross! 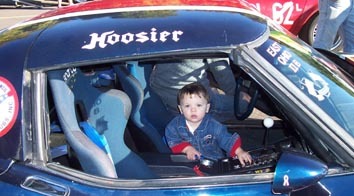 His Grandpa & Grandma Hottenrott are active members of Sunburst Corvette Club in the Midwest Region. 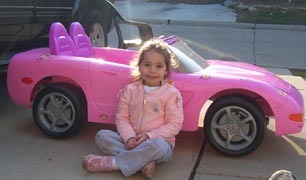 Olivia's ready to go for a joy ride in her own pink Vette! Sometimes she wants her Aunt Camille to sit in the passenger seat! Her aunt belongs to America's Corvette Club in the Michigan Region. 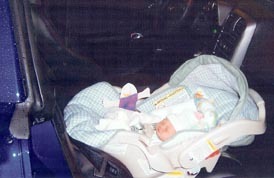 Here's Kayla in her grandpa's 2006 Z06 the day she came home from the hospital! She is a fourth generation Corvetter and a second generation FCOA member. 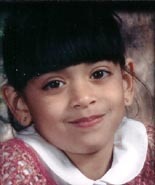 Kayla's mom Melissa was FCOA #0139. Her mom and her dad Chad along with Grandpa and Grandma Leone are members of Shiawassee Corvette Club in the Michigan Region. 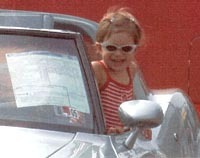 Kayla attended her first Corvette event, SCC's all-Corvette Show, when she was 13 days old. 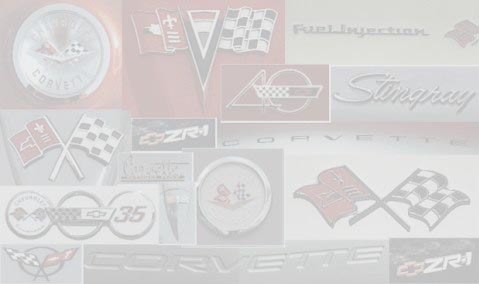 The love of Corvettes has passed down through her family starting with Kayla's late great-grandfather, Fred Miller, who was one of the first members of Shiawassee Corvette Club. Here I am on my 2nd birthday enjoying daddy's and my new C6 Z06! My Grandpa and Grandma Bailey are members of Northern Illinois Corvette Club in the Midwest Region. I'm planning to come to the 2009 NCCC Convention in Colorado ~ I'll be at all the races cheering for my grandparents, my daddy and my uncle. Bet you know what Aidan will be doing when he turns 16! Here's Chloe at her first show in June 2006. She's shown here in her grandparents' 1958 all decked out in her new T-shirt! Her grandparents, Don and Linda, are long-time members of The Vette Set in the West Coast Region. Her big brother Nathan is FCOA 2600.